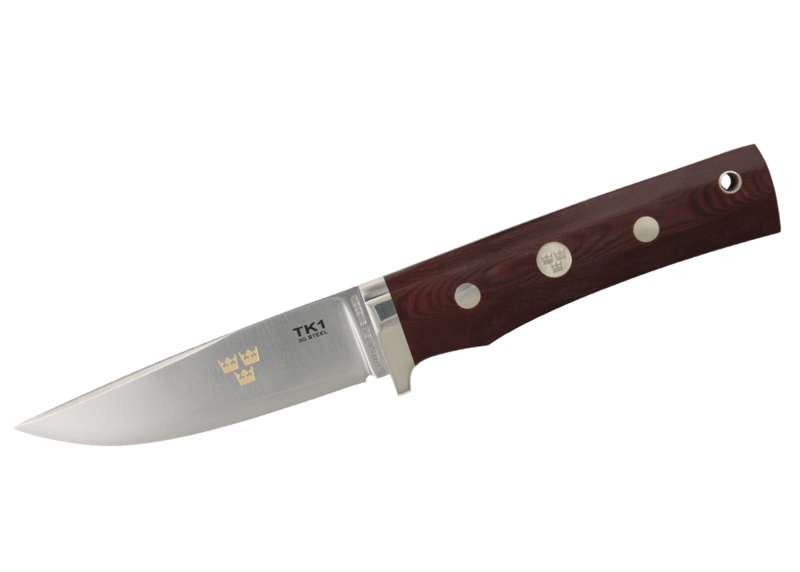 Tre Kronor, the Swedish knife series, offers a highly advanced technological solution combined with timeless Swedish design. As the result of a long development process, we are the first company in the world to be able to offer a laminated knife blade in 3G steel, edged with sintered steel, or powder steel. To this edge steel, we have added a resilient, anticorrosive steel which stabilizes the hard centre. 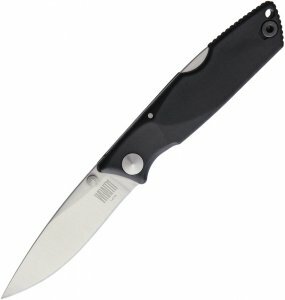 This gives a rigid, strong blade that retains its edge extremely well. These knives are in the Swedish minimalist idiom, where form harmonizes with function. The result is an edged implement that the user will find an easy and accommodating knife — a world-beater from Sweden. If one wishes to treat oneself to a truly beautiful, technically complete knife, then TK1 is an obvious choice: it is quite simply exceptional. The laminated powder steel offers strength and an edge never previously found on the world market. Every knife is manually produced by experienced, skilled knife makers, which means that each knife is unique. This item will be discontinued when our stock is out! The knives are delivered in very exclusive gift boxes.